A state-of-the-art, exterior finish with high elastomeric properties that enable it to bridge cracks on the surface. Weathercoat Flex - Tex Ultra is a high-performance exterior finish that keeps its cool even in the harshest weather conditions. Paint your exterior surfaces with Weathercoat Flex - Tex Ultra and protect them from cracking, fading, weathering and degrading. In fact, the finish is a star performer against cracks, bridging cracks up to 2 mm, as and when they appear. It also withstands the corrosive effects of carbon dioxide. An extensive choice of colours will allow you to select the look you want. Surface preparation Clean the surface thoroughly to remove all loose material, grease and fungus, using appropriate methods. Apply one coat of Berger Weathercoat Flex Primer. Application procedure Apply two coats of the chosen shade of Berger Weathercoat Flextex, with adequate time between coats. Use a roller. Touch up or paint inaccessible areas and corners with a brush, if needed. 2How do I get rid of fine white powder deposits on the wall? What are they? A fine white powder forms on the surface of the finish, usually because of weathering. This can cause the paint to look faded. A little chalking is normal, however heavy chalking can cause the film to wear away. Applying over partially dried coat. Always prepare surface correctly before painting. Scrub with a stiff brush or wire brush to remove the chalk formation and rinse well. Once it is dry, make sure that all chalk residue has been removed. 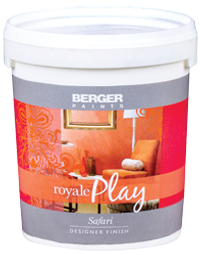 If the chalking is still present and obvious, use an oil based or acrylic latex primer or sealer. Repaint with a high quality exterior coating. If there is no chalking visible, repaint without using a primer if the old coating is still intact. 3The paint on my walls has started to crack and peel off. Why does this happen? Over time, the paint on your walls starts to crack and eventually flakes off in large chunks. Remove all loose and flaking paint with a scraper or wire brush before repainting. Also sand and feather the edges. Always use a top quality primer and paint top coat. If the flaking occurs over multiple layers, use a filler. Prime bare wood surfaces before repainting. In exterior situations, check if cracking goes down to the substrate. If it does not, remove flaking paint with a scraper or wire brush, sand to feather the edges, prime bare spots and repaint with a high quality exterior paint. If cracking does go down to the substrate, scrape off all the paint. Sand, and use a heat gun if necessary. Repaint with a water-based paint system. 4I can see a crusty white powder on my walls. What is this? 5Why are there uneven little craters on my painted wall? Bubbles form on the surface while painting, which then break to form a concave depression or crater. Do not roll or brush too much. Avoid using paints that are more than a year old. Use a roller with a short nap when you apply gloss and semi gloss finishes. Prime and seal porous surfaces before using glossy paints. Sand problem areas before repainting. 6Why are there black and greyish spots and patches on my walls? 7Reddish brown stains have appeared on the surface of my painted wall. These reddish brown stains are caused by the rusting of nails on the painted surface. Before painting on a new surface which uses non galvanised nails, countersink the nailheads, and caulk with a high quality water based acrylic caulk. Spot prime each nailhead and paint with a quality latex coating. If you’re trying to fix existing nailhead rusting, wash off rust stains and sand the nailheads. Then, countersink, caulk and spot prime as above. 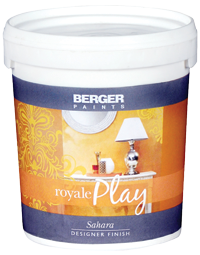 Paint with a high quality latex coating. 8The paint is patchy – darker or lighter – in some places. Why is this happening? Patchiness is when the paint does not present a uniform colour and smooth appearance. The thickness and intensity of the film varies in different portions of the wall. Use more paint and apply it to smaller sections. Allow new walls to cure for thoroughly. 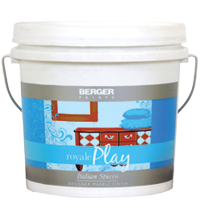 For already painted surfaces, scrape off old paint and prepare surface correctly. Fill cracks in plaster with cement sand mixture If you’re applying spot putty, follow it up with a coat of primer. Apply thin coats of putty. 9I just painted my walls. Why are some areas and corners darker? If a surface is painted with a roller, and its edges are filled in with a brush, it could create a darker, frame-like outer border as roller and brush have different spread rates. Spraying in one area can also create a darker appearance in that section, than neighbouring areas that are brushed or rolled. Choose a paint that offers you similar spread rates for brush and roller. Instead of painting from top to bottom, work in smaller sections which will offer you a ‘wet edge’ to work with. Use the right combination of colourant and base when you work with tinted paints. Shake paints well before use. 10I can still see the surface through the paint; the coat is not opaque enough to hide it fully. Poor hiding is when the paint does not completely cover or hide the surface on which it is applied. Use a high-quality topcoat with better hiding and flow. Use the best tools and recommended roller nap. Use the correct tinting base. If the substrate is darker, coat it with a wallboard sealer undercoat first. If you’re using a low hiding organic paint, apply an undercoat. 11My walls get dirty and stained easily. Help! Stains and dirt accumulate easily on your walls as the paint you have used is not equipped to resist absorption of stains or dirt. Use high quality water-based paints as they contain more binder. 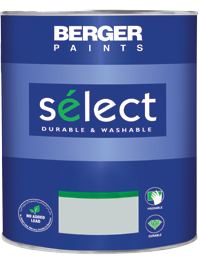 Binders prevent stains from penetrating the paint film, and so they can be washed off easily. Prime new surfaces for maximum film thickness, which also helps in easy stain removal. 12My paint is starting to look yellow. What should I do? Yellowing is when aging paint develops a yellow cast. This is most obvious in white finishes or clear varnish coats. Paint film is not exposed to enough sunlight, especially in areas behind appliances, inside cupboards, etc. Use a high-quality latex paint which does not yellow. Avoid alkyd paints as they are more susceptible to yellowing especially in areas that do not have access to light. A sleek and sophisticated exterior finish with outstanding performance, that protects from weathering, carbonation, fading, excessive heat, and microbial growth. A textured, exterior finish with the ability to stretch over and cover new cracks and protect against heat, fading, weathering, and carbonation. A medium-textured exterior product with excellent elastomeric properties that bridge cracks on the wall and protect it.